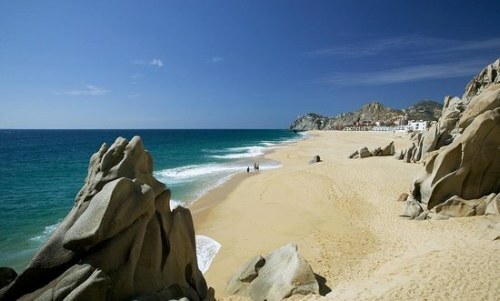 WestJet is showing flights from Kelowna to San Jose del Cabo, Mexico in April for $278 CAD roundtrip including taxes. Apr 1 to Apr 5, 13, 18 -- new! Apr 2 to Apr 13, 18 -- new! Apr 4 to Apr 13, 18 -- new! Apr 5 to Apr 13, 18 -- new! Apr 7 to Apr 13, 18 -- new! Apr 9 to Apr 13, 18 -- new! Apr 10 to Apr 13, 18 -- new! 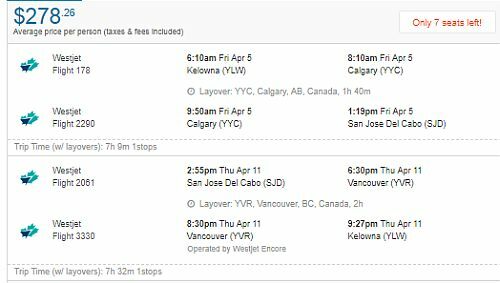 Apr 11, 12 to Apr 18 -- new! Apr 14 to Apr 18 -- new!